Hi guys, as some of you already know I have been fortunate enough to have been selected to volunteer with University College Dublin Volunteer Overseas.This june, I will be travelling to Vijayawada in South India along with 19 other volunteers. For one month, we will live and work in the Children's Villages with over one thousand children who have been orphaned as a result of HIV/AIDS and extreme poverty. Throughout the month we will organise youth clubs, sports camps and health education workshops, as well as awareness campaigns. 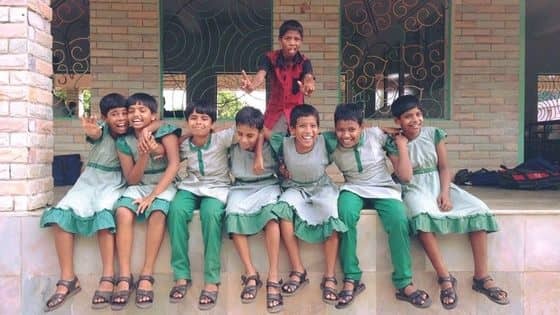 In the past, volunteers have benefited the orphanages by building a mental health room, library, providing uniforms and bringing school books from Ireland. I hope to bring my Psychiatric nursing skills to the Children's Villages, contributing to both the mental health room and the mental health needs of the children. In order to do this I must raise €2,600. I would be extremely grateful of any support no matter how big or small as it will go a long way. Thanks a million.